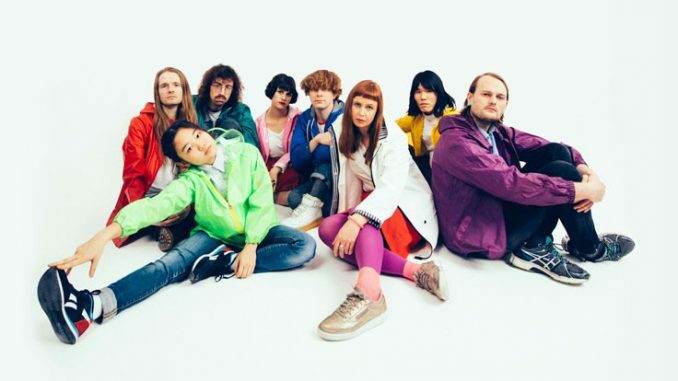 SUPERORGANISM is a Transatlantic group, who feature Maine, New England-based, Japanese vocalist Orono and a sprawling line up of international musicians/pop culture junkies currently living all under one roof in London ’s east end. 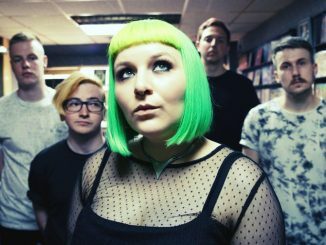 The band first introduced themselves at the start of 2017 with the idiosyncratic, technicolour pop of ’Something For Your M.I.N.D ’. The track burned brightly, causing a huge stir online and across the airwaves (including plays by both Frank Ocean and Ezra Koenig on their radio shows) shortly afterwards, It ’s All Good ” and “Nobody Cares ” appeared … both intoxicating curveballs and undeniably worthy follow up to their fizzing debut. SUPERORGANISM will play a headline Belfast show at The Limelight 1 on Wednesday 17th October 2018. Mark Millar caught up with backing vocalist and choreographer Soul (Earl Ho) to discuss their self-titled debut album and upcoming live shows. 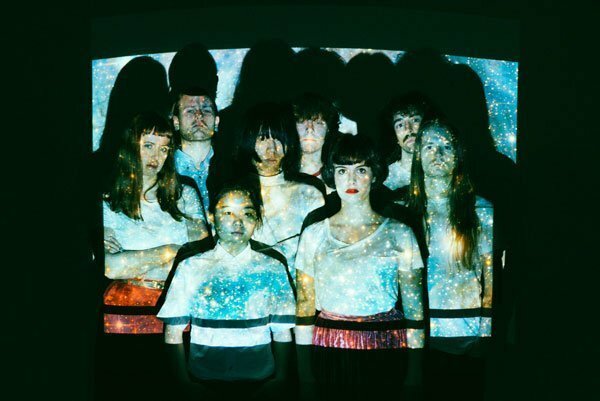 Superorganism formed through Internet forums with members from the UK, Japan, New Zealand, Korea, and Australia and now live in a terraced house in East London. How long were you all talking online before you decided to live together and form the band? Soul: In a span of about a week, everyone had joined the same Facebook group called ‘Superorganism’. After everyone introduced themselves starting a band was suggested, and the rest is history. From our formation to writing songs and the hype it all happened very quickly. There was a time when various record labels were courting us, and a couple of us were fielding different offers. Everyone was on this Facebook group sharing the experience together – it was exciting times. All members moved to into the house in London apart from you. Why did you choose not to? Soul: Just because there wasn’t enough room, If there was I would be there but in hindsight its ok not living there because we are continually touring together, so I probably lucked out moving to a different house and not seeing them for a bit (laughs) but its ok.
How would you describe your role within the band? Soul: I do vocals of some kind so I guess you could say backing vocals and for the live performance I do choreography and dancing – yeah that’s me. There has been a lot of interest around the band since you put your songs on Soundcloud things have happened very quickly. How did it feel when all the interest starting coming the group’s way? Soul: It felt great we have all been slaving away at music for a long time so to see the fruit of your labour come up so many years down the line is fantastic and everything we expected I guess. Is there always a constant flurry of creative activity in the house? Soul: (Laughs) Maybe, we all have an unhealthy obsession with creating you know. We get a bit antsy when we haven’t done anything in a while, but at the same time, we all like to relax and be a bit lazy and stuff. For the better part, it is exciting when we are creating, and we are putting stuff down – that’s all we would love to do forever. Touring is cool too but its more work than play sometimes. The band recently released your brilliant self-titled debut album how did you all decide on the sound of the record? Soul: Everyone works in an unconscious, intuitive way where nothing is preordained and everything happens at once. For example, Something For Your M.I.N.D. was created, and then Nobody Cares, but we were creating this kind of sound, and every song was created consecutively so when one song was finished we were on a roll. All we needed were textures and a feel. All of this was being written as we were going so it became this natural sound forming intuitively. Everything that we had learned and practised all came together in seven months, It’s hard to explain its like everyone was on the same wavelength. It was definitely like a mysterious thing to happen for an album to take shape very quickly, no one was arguing and it was all coming together very seamlessly – it was almost by magic. I think what made this different was if you have a bit of interest and a bit of hype and the belief that an external person has in someone it’s such a powerful thing you feel like “These people believe in me enough.” When you have that magic happens especially when you have the belief I think. It was a really magical joyous period were everyone was on the same wavelength and creating this sound which was the album. Soul: I can’t speak for everyone, but if I did, I’d say Something For Your M.I.N.D. was the big bang. The world collided with what Orono Noguchi brought as a writer, vocalist, and voice for the band. There is a maturity to the way we used samples and the way the sound effects are placed and the various stop-starts of the sound. Tucans mixing is excellent he has honed that over the years and then for Orono to jump on that with her youth and the deadpan, depressed teenage angst feel that she brings – I think that the song encapsulates all that. That song was the big bang and catalyst for all the other songs on the album. 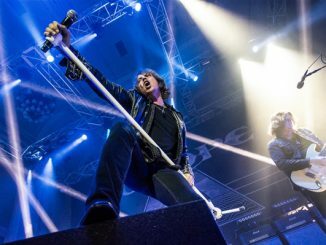 The band will embark on a UK and Ireland tour this month. What can fans expect from the shows? Soul: Fans can expect a fun mesmerizing time where we are going to distort their sense of space and time and hopefully leave them feeling euphoric and wanting more. 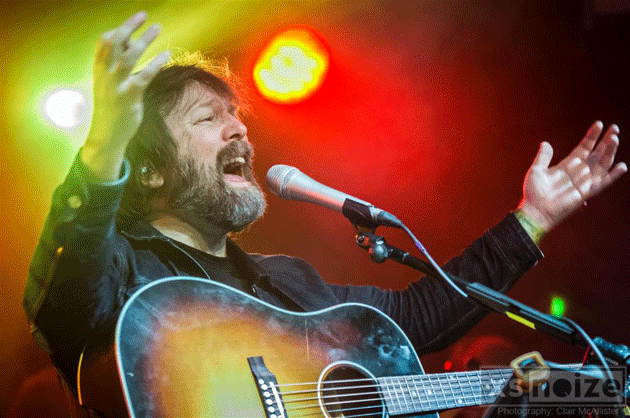 It is a cool show, and the venues are bigger this tour – it’s going to be an excellent time. Soul: I’ve come from a background where I worked some very menial jobs. I worked in a bank and I sold insurance, so I kind of know what its like to do something that I hate, so to be able to do something I love is something I’m so grateful for – it’s wonderful and magical. Even though touring is really physical and tiring I still pinch myself every day. Soul: Ah yes, mine is very clichéd – my favourite album is Dark Side of the Moon by Pink Floyd. I put it on, and the sound the Sonics, the chords and production make me feel a way I can’t explain. It’s a beautiful album that makes you appreciate the beauty of life. Soul: We’ve all been loving Brockhampton they are a hip-hop group from Texas. They released a new album called Iridescence which has gone to number one in America. 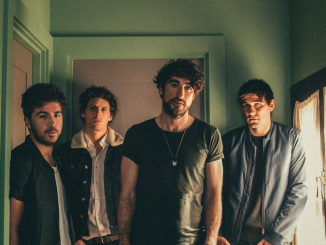 It is their fourth album in two years – they have had a rapid rise and I’ve really enjoyed it. They are a similar big collective they have fourteen members in the band. Their sound is very experimental hip-hop.